Below, you'll find answers to some of the most frequently asked questions about Qorus search capabilities. Which places can Qorus search? Qorus supports searching OneDrive for Business, as well as SharePoint Online libraries and lists. Does Qorus support full text search? Yes! 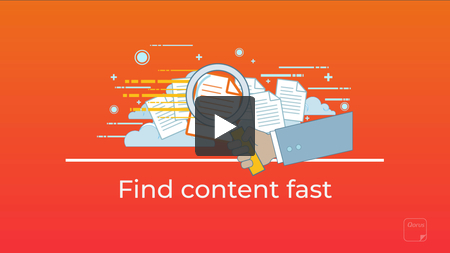 When you run a search with any one of the Qorus Add-ins, we'll search the contents of Office365 files and searchable PDFs, as well as their content properties, to find results matching your search. Does Qorus support the use of operators in search? Yes! Qorus supports the use of operators. When searching for more than one term or for a specific phrase, you can use the operators AND, OR, NOT, * (wildcard) and "" (speech or quotation marks) to expand or narrow your search. Please note that to be used as operators, these words should ALWAYS be capitalized when entered into the search box! The OR operator will expand the search to include all files where any one of the search terms are found. For example, searching for 'Qorus OR Software' will retrieve all files that contain either 'Qorus' or 'Software' within the body of the file or within its properties. Both terms do not need to be present for the file to be included in the search return. The NOT operator will exclude the terms that immediately follow the NOT operator from the search results. For example, searching for 'Qorus NOT Software' will return all files where the term 'Qorus' is found, and where the term 'Software' is well, not found. The wildcard operator, represented by an asterisk (*), will expand the search result to include all files that start with the search term that immediately precedes the wildcard character operator. For example, searching for 'Power*' will return all files where terms starting with 'Power' were found, including the terms: power, powerful, powerless, PowerPoint, etc. Enclosing your search terms within speech or quotation marks ("") will restrict the search to locating those files where all the words between speech or quotation marks are found, and in that specific order. 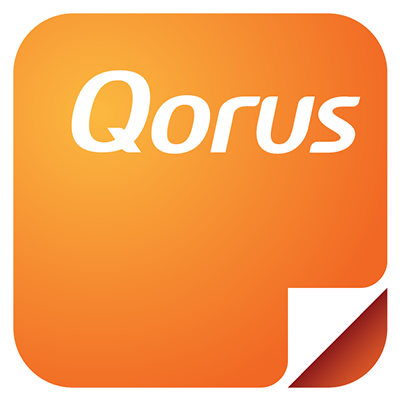 For example, searching for "Qorus Software", will return all documents where there is an exact match for that phrase: both the words 'Qorus' and 'Software' are found, they are found next to each other, and in the order specified. Does Qorus support the use of KQL in search? Yes! Power Users can also take advantage of Microsoft's Keyword Query Language (KQL) to search SharePoint Online, and narrow the focus of the search to match only results based on a specific condition. For example, the search query author:"John Smith" would return all the files for which John Smith is the author. Click here to access the complete KQL syntax reference on the MSDN website. Which OneDrive for Business files can Qorus search? Qorus can search OneDrive for Business files that you own and manage, as well as files that have been shared with you by co-workers on your Office365 subscription, also using OneDrive for Business.